HOUSTON -- Houston police say two officers have been shot and taken to hospitals. Few details were immediately released, including the officers' conditions. Police say only that the pair of officers was hurt during an altercation Tuesday on the city's southwest side. Numerous officers have swarmed the neighborhood. 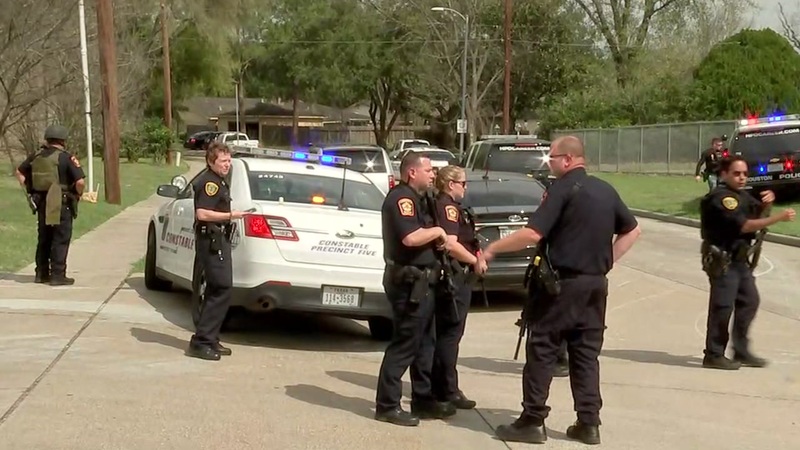 Houston emergency management officials say one possibly armed suspect is believed to still be on the loose in the neighborhood. Residents are being urged to stay inside.